Buyers generally order their home inspection after an accepted offer has been confirmed. Next they can call, e-mail or text BEASLEY HOME INSPECTION in Bakersfield, Ca. and we take it from there. We inspect the property by the ASHI standards and code of ethics. The ASHI standards of practice is followed as the golden rule. Such as: Foundation/Structure, Roof, Electrical, Heating & Cooling systems, Plumbing, Attic-Insulation and Ventilations, Fireplace and Chimney, and Swimming Pool & Spas. The property inspection will identify major defects, safety concerns and other problems so they can make an informed decision about the building’s condition and the expense of related repairs. 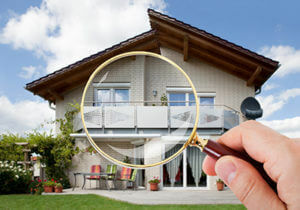 Before hiring a “REALTOR” a homeowner who is selling their house should have BEASLEY HOME INSPECTION complete a thorough home inspection to determine the immediate repairs, major concerns and or any safety concerns within the home that the owner is not aware of. This will save time and $ money during the process. If may even speed the escrow process by NOT waiting for repairs down the road. Foreclosure inspections are often referred to as REO (Real Estate Owned) inspections. Professional home inspectors are qualified to do these, but there are other inspectors that also do only minimal foreclosure inspections: Certified Field Inspectors and the Certified Property Preservation Specialist. These inspectors may or may not be qualified to do state licensed home inspections. or (HQS) In the United States the federal and state governments provide housing subsidies to low income people through a program often known as Section 8. The government expects that the housing will be “fit for habitation” so a Section 8 inspection identifies compliance with HUD’s Housing Quality Standards (HQS). The pre-delivery inspection, which generally applies to newly built homes, is a real estate term that means the buyer has the option (or requirement, depending upon how the real estate contract is written) to inspect the property prior to closing or settlement. These inspections generally take place up to 2-3 weeks before a closing and they generally allow buyers the first opportunity to inspect their new home. Additionally, the inspection is to ensure that all terms of the contract have been met, that the home is substantially completed, and that major items are in working order. Along with a representative of the builder (generally the construction supervisor or foreman), the buyers may be accompanied by the home inspector. Any noted defects are added to a punch list for completion prior to closing. Often a second inspection is conducted to ensure that the defects have been corrected. In a resale situation, this type of inspection is often termed the final walk-through, and, based on the contract’s provisions, it allows the buyer the opportunity to inspect the home prior to closing to ensure that agreed-upon repairs or improvements have been completed. A better inspection for a newly built home is to inspect the home during the stages it is being constructed. The typical inspection stages include: foundation pour, structure, pre-drywall, insulation, and final. Important issues such as structural support, duct routing, and plumbing cannot be completely inspected after the drywall or attic insulation is installed. During a home inspection, a home inspector will carry out a visual observation and general operation of the plumbing system. The inspection will consider readily accessible pipes, fixtures and components, while noting recognized adverse and material defects present at the time of inspection. Minor defects may be also reported. The inspection typically reviews the visible water supply and waste removal sewage system. Furthermore, a plumbing inspection often involves a closer observation than just the outside, especially in the case of galvanized pipes, which may not appear to be have defects superficially. A heating ventilation and air conditioning (HVAC) home inspection reviews the heating and cooling system of a home from a performance perspective. The inspection usually does not inspect or compare to codes or manufacturer requirements. Heating is provided typically by a forced air furnace distributed by duct work or a water/steam boiler using radiators or convectors, but space heaters, heat pumps and other methods are also in use. The energy source is usually natural gas, fuel oil, or electric, but other sources include butane, wood and Geo-thermal. Cooling can be described as a split system, packaged unit, fan coil, heat pump, an evaporative cooler, or window/through-the-wall a/c unit. A typical inspection will carry out a visual observation and operation of the HVAC system. The inspection will consider visible and readily accessible components, while noting recognized adverse and material defects present at the time of inspection. The inspection does not usually disassemble the equipment. The home inspection report may include a description of the system by its key components. Ideally the inspection intends to reduce risk for the buyer by reporting observed material defects. A defect may be a repair, maintenance or improvement consideration with or without a safety association. An optional statement on perceived useful remaining life may be provided.